A short documentary produced by 3 students at Kent State University in 2006. It focuses on the All-American Bridge (otherwise known as the Y-Bridge), in Akron, OH and the debate over whether or not to build a fence along the bridge to prevent people from committing suicide by jumping off of it and landing in a community below. Produced, written, and directed by Tim Logan, Keith Potoczak, and Jaclyn Latessa. Copyright 2006 All rights reserved. The first suicide was on November 16, 1919, and nearly fifty of the suicides occurred during the Great Depression from 1933 to 1937. Another report predicts that ninety-five people committed suicide from the bridge between the years of 1919 and 1937. 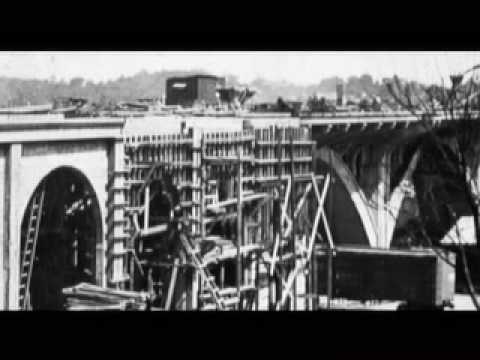 During the early part of the twentieth century, the Colorado Street Bridge became known locally as "Suicide Bridge" after dozens of people leaped to their deaths.The bridge had a bad reputation before it was even built, as a construction worker fell to his death and landed in the wet cement under the bridge. Although the warning signs of suicide can be subtle, they are there. By recognizing these signs, knowing how to start a conversation and where to turn for help, you have the power to make a difference – the power to save a life. At first blush, this impeding update might seem like a saving grace for people concerned about the dangers posed by the suicide lanes, but what exactly will replace them is not totally clear.